The Endorphin Alchem High-End Ribbon Power Cable represents a break-thru for the discerning audiophile interested in realizing true high-end performance from each of the carefully selected components chosen to create their system. 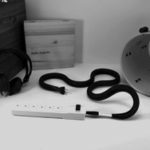 Stefan AudioArt headphone system cables will not alter the type of sound you have worked hard to achieve through the careful selection of each component. They will however enable your system to achieve a level of clarity, accuracy, transparency and more realistic sound than you may have every imagined. Pure sound, with more clearly defined space between instruments providing greater bass, mid-range and treble accuracy. This will enable a much deeper insight into the music while keeping the sound signature of the collective components intact. 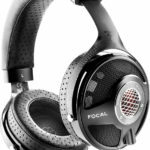 We set out to develop an interconnect for headphone listeners that could deliver the improvements necessary to truly realize the potential of high end gear. We quickly found that Performance Power Management is second only to upgrading to the SAA Endorphin headphone cables. SAA Alchem and Classic Ribbon Power cables are the next critical step to creating the ultimate system. A properly designed power cable is as important and has a significant influence on the audio signal. 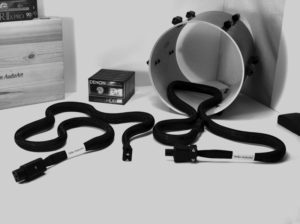 The Umbilical Power Cable for an amplifier with an outboard power supply is also very critical to the performance of each component. So the upgrade to Endorphin Umbilical Power Cable will make a further and very noticeable difference in the quality of the music you experience. Most power cables and power conditioners on the market, even the most expensive ones, are poorly designed and provide only minor improvements. Our testing has proven that by actually removing power conditioners from a system and replacing them with a properly designed power cable or power strip will result in a significant upgrade in sound. All stock power cables and the expensive upgrade cables generally available which we tested, incorporate over-designed connectors with thick dielectric combined with both heavy or minimum shielding and thick-wall conductive components which cause even more resistance to the signal. Each of these incrementally degrade performance taking away the purity of the power signal doing the exact opposite of what a properly designed power cable should do. Your purchase(s) of Stefan Audio Arts (SAA) products are covered by the SAA 30/60/90 day money back guarantee. If you are not satisfied with the performance improvements compared to your current power cable and vibration controls, you may return our products for a full refund within 30 days of the date of delivery. Additionally, you may request an extension of our money back guarantee for another 30 to 60 days from the date of delivery if further evaluation is required based upon additional modifications to your system. Years of research and development, multiple product iterations and hundreds of hours of product testing have culminated in our proprietary copper hybrid ribbon. It’s large surface area, specially treated hybrid conductive material and EMI and RI resistive IEC connectors has a purifying effect on AC power. This significantly improves soundstage, bass response, clarity and detail of the associated component is capable of delivering. The Endorphin out performs all audiophile power cables and power conditioners. In most cases these cables and conditioners use excess amounts of copper or silver, too much insulation and over designed IEC connectors. We’ve tested them all and they have proven to consistently slow down and degrade the current, resulting in poor component performance. Our new Endorphin Alchem Ribbon Power Cable incorporates all the improvements introduced with the original Endorphin Classic Ribbon Power Cable and introduces noticeable improvements in clarity. Delivering transparency that reveals all the subtle inner details of the recording with a blacker background. For over 20 years SAA engineering has hand crafted custom headphone cables and interconnects. Limitless combinations of cables, connectors and IC’s have been created to fit high end gear and undergone 100’s of hours of testing. As good as the cables were, the highest levels of performance from the best components on the market will not be realized without proper attention being paid to the power source. Four breakthrough features that are exclusive to the SAA Endorphin Alchem Power Cables enable performance levels unsurpassed by any of the other Power Management tools on the market. A combination of specialized, conductive materials treated to insure that resistance that pollutes and distorts the signal has been reduced to a level never achieved before. Our ultra-pure copper ribbon delivers the power in the most pure and efficient manner possible. This allows the true attributes of your system to be realized. Unveiling areas in the listening experience which have before been almost impossible to enjoy. Distinct improvements in soundstage and bass response were significantly improved, along with the overall clarity and detail. By suspending the outer sheathing we were able to eliminate common negative attributes caused by contact of the conductive surface with the sheathing. Our proprietary suspended sheathing yields a blacker background. Removal of the ground further improves the purity of the signal delivered by the components. Only the SAA Endorphin Alchem Power Cables enable components to deliver a level of quality to their fullest capabilities. Through the elimination of the ground the AC polarity of the component can be matched to the AC polarity of the outlet in your home. When these are in phase further improvements in the bass, soundstage and transparency are realized producing a quality of sound which up until now is achieved in a hit or miss fashion, even by the most knowledgeable audiophiles. The Stefan AudioArt Endorphin power cables represent our constant dedication to improving the performance of high-end headphone/audio systems. All of our Endorphin High-End headphone system cables are available in custom lengths. 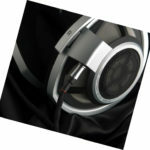 I am so excited to know my modded HD-800 will be shipped soon. I just wanted to tell you how glad I am to have found someone so knowledgeable and honest that I can enjoy such a world-class headphone system (with the new addition of the Endorphin Alchem Ribbon Power Cable and Ribbon XLR Interconnects). You are so appreciated!